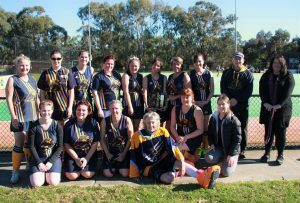 The Mentone hockey club is proud to support a strong and diverse women’s section. 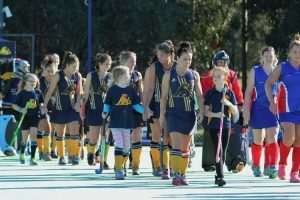 We cater for all ages and skill levels and are eager to welcome new players from interstate or overseas, experienced players transferring from other clubs, right through to new players who have never picked up a hockey stick before. 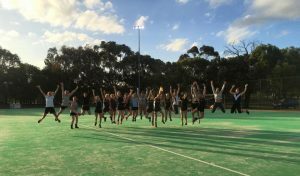 The Mentone Hockey Club strives to achieve a balance between the competitive side of the game along with individual, team and club development. This begins in our juniors’ program and continues right throughout our most senior teams. Each year the women’s section run a buddy system that matches a junior and senior player to promote confidence, skill development and to make the transition to senior hockey much easier. We also run plenty of events throughout the year whether this be a barbecue on home game days, themed training, preseason camps, trivia night, cocktail evenings and our annual presentation night. So If you want the opportunity to develop your hockey, play at the top level, make great friends and have an awesome time, please contact one of our Women’s Coordinators, Torren , or come down to a training session and meet us in person (times and contact details below).